Bus Charter Washington DC: The Best Way to Plan a Fun 2018 Summer in Washington D.C.! The Best Way to Plan a Fun 2018 Summer in Washington D.C.! Summertime in Washington D.C. is sunny, sanguine and stunning, its events bold, beautiful and badass. This marks the right time to plan activities with your families and kids, your loved ones and friends visiting from afar because this is when everything raconteur about D.C. is being showcased. With countless events and festivals being completely free, it’s the perfect opportunity to take on bus tours, sit back and relax in a park while people-watching, explore attractions like a local (while Instagramming, of course). Fireworks, gorgeous and meaningful monuments, cultural events, historic holidays, biking and walking tours, free music festivals, exciting baseball games, barbeque cook-outs, beer fests, holiday jazz concerts, charity events, lit-up waterfront parks, and fascinating summer-themed markets - these are just a few of the things you can find in and within a close distance from Washington D.C. The great thing about these events is that it does not strain your wallets. D.C. inevitably turns into a really cool place during warmer months and here are just a few of those wonderful events to consider being a part of. You’ll have a ball, I’m positive about that! Right smack in the middle of Juneteenth and Pride Month, this year’s theme will be ‘The Elements of Us’. Organizers have smacked together a goblet of activities which includes a parade, a rooftop party, The Heroes Gala & Rally, The Opening Party, the 'Crack of Noon' Pride Brunch, the Block Party, and the Capitol Sunset Dance Party. It’s a time for the DC Community to come together and celebrate diversity in every shape and form. The rainbow-colored, glittery event celebrates equality of all kinds - spiritual, gender, race, sexual, goals, belief systems, culture, and much, much more. Although heralded by the local LGBTQ community, the event attracts people from all walks of life. It’s just the magic dust of happiness and togetherness blowing in every single direction! Entertainment will be provided by confirmed attendees like DJ Alex Lo presented by WERQ/PAPA Party, Nomi Smalls, DJ Kitty Glitter, Allie X, Marquis Clanton, and many more to be determined later as they confirm their attendance. The Capital Pride Parade runs all day long on June 10th, 2018 from Noon - 9.30pm, while they slot the Capital Pride Concert for a Noon kickoff till late 10pm on the same day. Continue Reading the article to find out more about where to catch the best glimpse of Washington D.C's July 4th fireworks display, enjoy the best D.C. BBQ, learn about Armenian and Catalonian culture and food, and much more on our website, Bus Charter Washington DC! 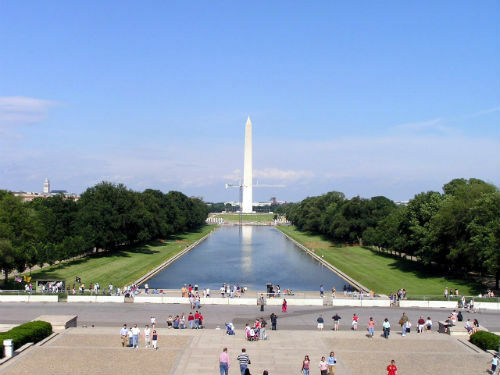 Get Hop-On, Hop-Off Charter Bus Service This Summer in Washington D.C. Most of the summer event venues in Washington D.C. will be packed like cans of sardine, with not a peek of a parking spot in sight. Instead of driving yourself to the party, hire a private charter bus from Bus Charter Washington DC and make your trip to the festival, concert or party an even more memorable one! In fact, put together a tailgate party! Bus Charter Washington DC gives you plenty of options across the country, and we are always ready to connect you with the right vehicle and people to bring you safely to the DC event of your choice. Whether you’re looking around for a 49-passenger charter bus, a 30-passenger mini coach packed with luxury amenities on board, or an Executive Sprinter Van, contact us and we’ll find you the perfect ride at the right price. The number to call is 1-800-304-1993 if you wish to speak to our customer service personnel right now, otherwise, please feel free to contact us using this simple contact form. We’ll be back in touch with you in no time! Let’s make your trip to Washington D.C. an absolute BLAST!